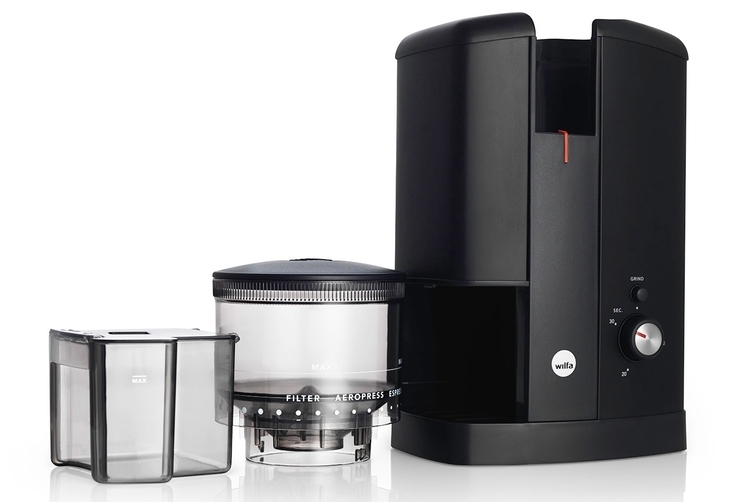 Grinding your beans fresh is always best, and nothing beats the smell of freshly ground coffee in the morning – with the Wilfa Precision, the taste will be pretty unbeatable too. The Precision allows you to adjust your grind settings precisely to your brewing method, preserving the grind size and quantity cup… after cup. The high-quality conical burrs are powered by a motor that produces minimal heat, protecting the coffee as it grinds to give you that overall great taste. Small footprint and sleek design makes this grinder a great addition to the coffee connoisseur’s kitchen.